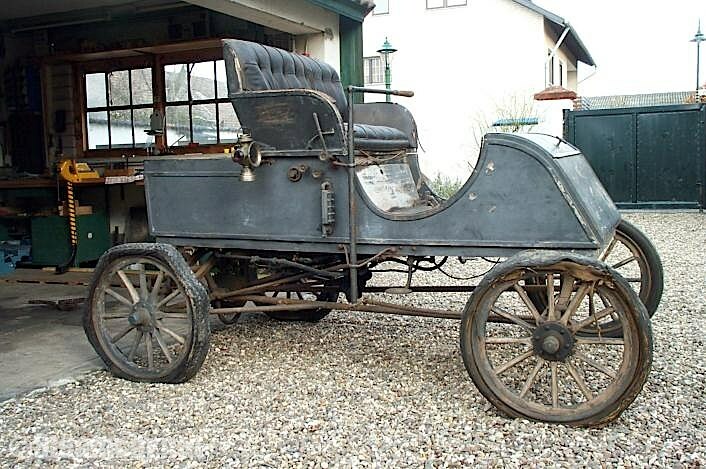 The Reading "R.M.Model" Number:- 126 build:- 1903 Runabout of 900 pounds weight. Front box for parcels. 28-inch wood artillery wheels. Mason 4 1/2 H.P. - 2 1/2 X 3 1/2. 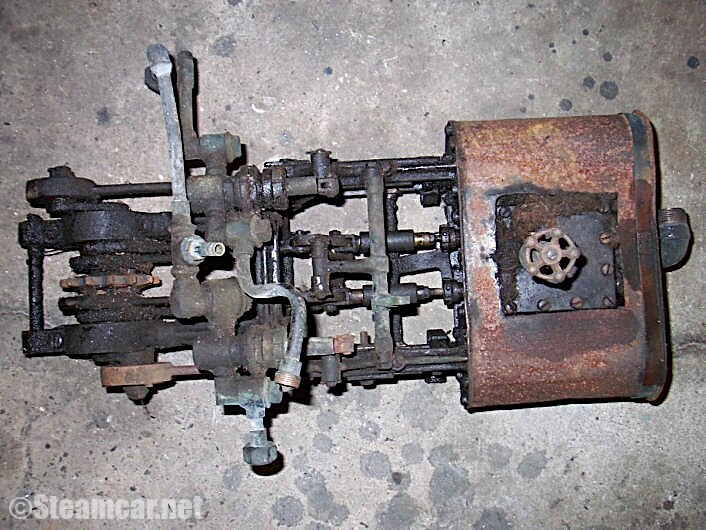 slide valve steam engine. Stephenson link motion. Steel shell boiler. 346 copper 3-16 inch tubes. Victor steam pump. Bevel gear differential. OWNED BY - Michael and Renate Jumpertz, Troisdorf, Germany.